IT’S almost 20 years since US President Bill Clinton addressed crowds in Derry city on a freezing November night in 1995. The search for a lasting peace was in its infancy, the political atmosphere was toxic, and it fell to the president to inspire confidence in the future. It was on that night that Clinton famously captured the moment, quoting from Seamus Heaney’s "The Cure at Troy", to deliver the poetic prediction that sometimes "hope and history rhyme". But that quote, much like the early optimism of the peace process, has now been sucked dry to resemble what Michael McDowell might call a "withering husk". Over the last two decades the peace process has delivered huge achievements, but it has also lurched from crisis to crisis, and now it's back there again. Members of the supposedly defunct IRA are implicated in a killing carried out in revenge for the murder of one of their paramilitary comrades. The grief of two bereaved families has quickly been overshadowed by the unfolding political crisis, the recriminations, and the party politicking. It all feels tragically familiar - the peace process in jeopardy again over republican violence. But other evidence shows that the crisis actually runs much deeper. One of the most striking features of post-Troubles Northern Ireland is the number of issues that echo political life here prior to the conflict erupting in 1969. The communities that were poor then, remain the poorest today. The regions with the weakest infrastructure continue to lag behind. There is the heightening of tensions over British and Irish culture. Minority communities are again being denied rights. And, of course, sectarian divisions run deep. Data research by The Detail recently exposed major disparities in the quality of life across Northern Ireland. The website has also charted delays at Stormont in introducing legislation to protect ethnic minorities and the gay community, or to reflect the diversity of a population that has undergone massive demographic changes. Twenty years into the peace process it is remarkable that there is still no official outward recognition for the Irish identity, with unionists blocking an Irish language act at Stormont, while the parliament building is itself virtually devoid of any Irish symbolism. There has been a failure to defuse tensions over parades and failure so far to deal with the toxic legacy of the Troubles. There are also delays in the introduction of specific policies, such as access to abortion for pregnant women suffering the trauma of carrying babies with fatal foetal abnormalities. Meanwhile the communities that report feeling most isolated from Stormont include the sections of loyalism that were so important to launching the peace process. There is a long list of other flawed decisions, wasted opportunities, and poor leadership. Public scandals, plus exposés over Assembly expenses, haven't helped perceptions. Questions have been raised over the connections between politicians and corporate interests, yet information on who funds political parties in Northern Ireland remains secret. During previous periods of political crisis, the parties have brokered deals such as the Stormont House Agreement. But there is no sanction when those deals unravel, as the latest has threatened to do over Sinn Féin’s opposition to welfare cuts. Oddly, the DUP and Sinn Féin have often avoided publicly blaming each other for various policy failures. Their reliance on horse-trading between each other leaves them clinging to the grim hope of getting decisions agreed at some stage. Despite the hopes that accompanied the decision of the DUP and Sinn Féin to enter government together in 2007, it quickly became clear their administration was gridlocked: unstoppable force meeting immovable object. The DUP became focused on its electoral position and effectively abandoned any plans to reach-out to moderate nationalists. It sought to frustrate Sinn Féin's 'change agenda' from within. Sinn Féin decided to keep the Stormont experiment going, despite getting very little by way of policy gains out of the arrangement, but the party became more and more focused on building its political project on the southern side of the Irish border. There were sporadic efforts between the DUP and Sinn Féin at forming a shared vision, including moments of real significance. These included Ian Paisley's unlikely friendship with Martin McGuinness, as well as darker periods when murders by dissident republicans drew a united front from the Sinn Féin deputy First Minister and Paisley's successor, Peter Robinson. But the displays of unity were regularly overtaken by events. Straightforward government projects became bogged-down. As The Detail previously reported, this included an £80 million poverty fund which was frozen for years by what insiders claimed was a row over whether more of the money should go to poor Catholics or poor Protestants. Official figures show higher levels of need within the Catholic community, but unionists and republicans have previously disagreed on how to tackle poverty in a divided society. 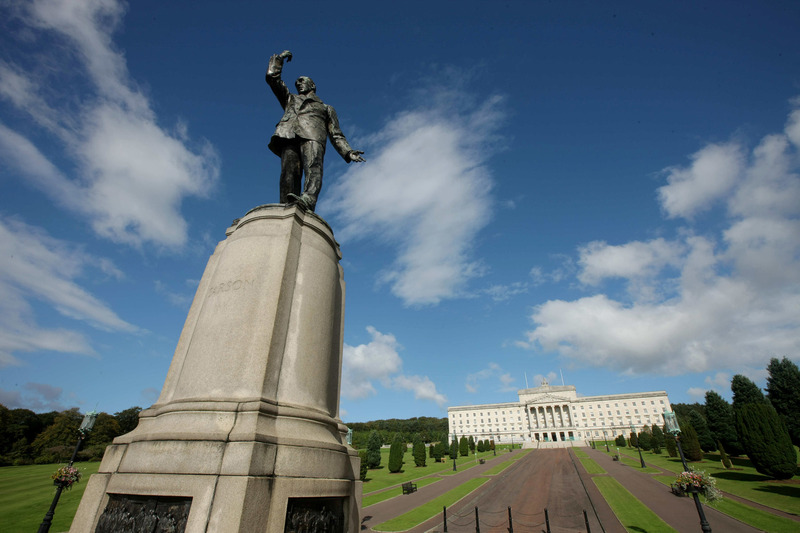 The High Court in Belfast recently ruled that the Stormont administration had failed to live up to an obligation to introduce an anti-poverty strategy for Northern Ireland based on objective need. The finding would have sent shockwaves through any administration in London or Dublin. In June The Detail revealed an additional area of concern, publishing data showing that from 2012-15 nearly 1300 incidents of paramilitaries forcing people from their homes were reported to authorities in Northern Ireland. It was another example of a reality of life for communities here that would not be tolerated in Britain or in the Republic. Despite all of these issues, the oversight of affairs by the governments in London and Dublin has effectively been non-existent. The outbreak of loyalist violence that began in 2012 over restrictions placed on flying the Union flag at Belfast City Hall forced a half-hearted intervention by the British and Irish governments. But generally, London and Dublin are seen to have looked the other way. The benign view is that the administrations were busy fighting economic crises, but critics claim the governments are influenced by party politics. The Conservatives have built a close relationship with the DUP, whose support they may yet need at Westminster. And since Sinn Féin grew to become a real player in Dáil politics, parties in Dublin have seen the peace process through the prism of their contest with Gerry Adams. 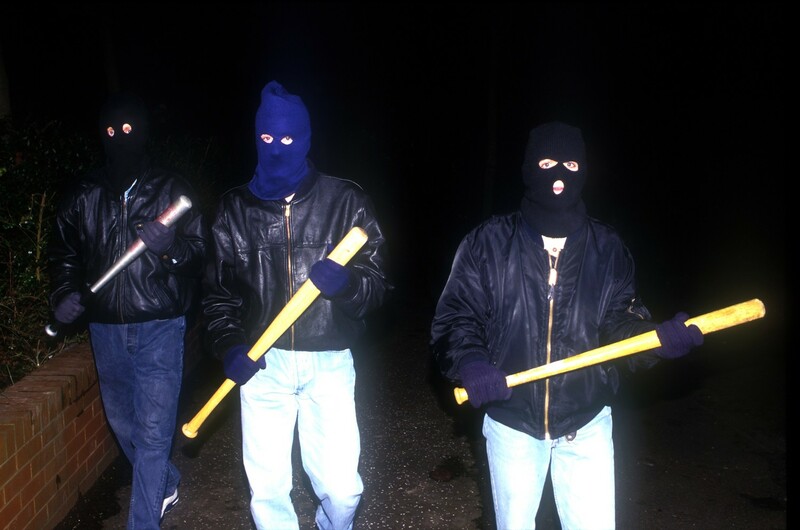 The latest allegations of violent activity by IRA members have sparked calls for the British and Irish governments to revive the International Monitoring Commission (IMC) that reported on paramilitary groups from 2004-2011. With two men dead as a result of republican clashes, with an average of 400 people a year made homeless by paramilitaries, and with mainstream unionists accused of making common cause with loyalist representatives over the issue of parades, there is widespread public agreement that paramilitarism has to be tackled. A new government-sponsored review of paramilitary activity, or the creation of a new IMC, could 'name and shame' those involved in illegal activity or those politically supporting illegal activity. But should a new plan to save the peace process have a dual remit? Should there also be a place for 'naming and shaming' parties found to be blocking political progress at Stormont, or blocking the implementation of political deals such as the Stormont House Agreement? 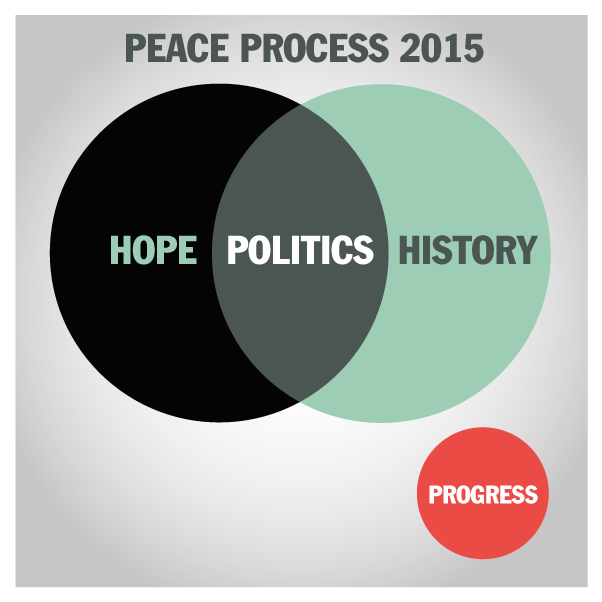 The peace process was built on two aims: to end violence and to show that politics can work. Surely any solution to the current crisis that only tackles half of that equation will fail? IT’S almost 20 years since US President Bill Clinton addressed crowds in Derry on a freezing November night in 1995. The search for a lasting peace was in its infancy, the political atmosphere was toxic, and it fell to the president to inspire confidence. Clinton famously captured the moment, quoting from Seamus Heaney’s "The Cure at Troy", to deliver the poetic prediction that sometimes "hope and history rhyme". Members of the supposedly defunct IRA are implicated in a killing carried out in revenge for the murder of one of their paramilitary comrades. The grief of two bereaved families has quickly been overshadowed by the unfolding political crisis, recriminations, and party politicking. It all feels tragically familiar - the peace process in jeopardy again over republican violence. But other evidence shows that the crisis actually runs much deeper. One of the most striking features of post-Troubles Northern Ireland is the number of issues that echo political life prior to the conflict erupting in 1969. The communities that were poor then, remain the poorest today. The regions with the weakest infrastructure continue to lag behind. Minority communities are again being denied rights and sectarianism runs deep. There have been long delays at Stormont in introducing legislation to protect ethnic minorities and the gay community, or to reflect the diversity of a population that has undergone massive demographic changes. Twenty years into the peace process it is remarkable that there is still no official outward recognition for the Irish identity, with unionists blocking an Irish language act at Stormont, while the parliament building is virtually devoid of any Irish symbolism. Devolution has also failed to defuse tensions over parades and failed to deal with the toxic legacy of the Troubles. There is a long list of other criticisms and complaints. But should any new plan to save the peace process have a dual remit?